Nine Star Broking is also a full service brokerage firm that has been serving within the Indian trading industry since the year 2010. This article will primarily focus on emphasizing over Nine Star Broking’ products, services, brokerage charges, other relevant charges, permanent and occasional offers and of course the impact of their respective remote and non-remote trading platforms. In short, we will dissect Nine Star Broking’s effectiveness and reliability as a brokerage firm on the whole. 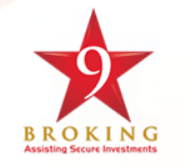 Nine Star Broking is a rather newly found brokerage firm actively serving within the Indian equity and derivatives trading industry for merely a bit more than eight years. The firm was founded in the year 2010 in Kolkata, West Bengal by its founder Mr. Raj Kumar Dugar. Nevertheless, the firm has been able to generate its fair share of supporters and clients even within the short duration of existence. In fact, they are quite competitive when it comes down to the trading industry. As per the above mentioned chart, it can be well established that Nine Star Broking, as a firm charges a brokerage of 0.35 % from its registered traders for Equity Delivery Trading, 0.04 % brokerage for Equity Futures Trading and Currency Futures Trading respectively. Rs.35 per lot brokerage for Equity Options Trading, Rs. 20 per lot brokerage for Currency Options Trading and Rs. 250 per annum for the maintenance of Trading Account. 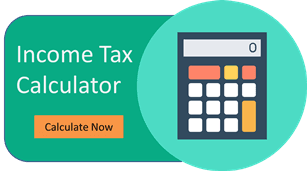 They also require their registered traders to maintain a minimum margin money of Rs. 3,000 in order for ceaseless trading experience. As described briefly within the above mentioned chart, Nine Star Broking incurs a charge of 0.00325 % on the overall transaction as Transaction Charge, 0.0126 % on the total turnover as STT, 0.0002 % of the total turnover as SEBI Turnover Charge. Along with this, 18 % GST on the overall sum of the brokerage charges and transaction charge and a certain amount of Stamp Duty that varies in accordance to the state boundaries and regulations. Although, new in the industry, Nine Star Broking has quickly learned the tricks of the market, one of which includes allowing everyone to register themselves as a trader with the firm. In fact, they do not even charge any money whatsoever for the maintenance of a Demat Account. Nonetheless, they do seek a charge of Rs. 300 for opening up a Demat or Trading Account and a sum of Rs. 250 per annum in terms of annual maintenance charge for Trading Account. All the payments can be made through either CDSL or NSDL. Up on giving proper attention to the above mentioned table, it can be easily concluded that Nine Star Broking does not have any extensive offers related to Free Demat Account, Free Trading Account, Trading Happy Hours, Discount On Brokerage etc. They only provide flexible brokerage plan offer to its customers. How to Open a Demat Account with Nine Star Broking? Go through all the information present on the form that pops up. Carefully fill up all the required details within the form. Upload all the necessary documents required to complete the KYC Procedure. You must have your Aadhar Card, PAN Card, Age Proof, Identity Proof, Address Proof and one photograph in order to complete this step. Then, you will be contacted by a concerned person on behalf of Nine Star Broking in order to carry out the final verification. Finally, you will be granted full access to your Demat or Trading Account in a matter of a few hours, after you complete all the aforementioned steps without any flaw. Why Open Nine Star Broking Trading Account? They provide up to six times the exposure on trading related activities. They have grown a network of nearly three hundred active branches across the nation in merely eight years. Nine Star Broking’s products list comes conclusive of Equity Trading, Currency Trading, Options Trading, Futures Trading, Mutual Funds and Systematic Investment Plans. Nevertheless, they do not offer any services related to Commodities Trading, Forex Trading, Banking or Insurances. As you can clearly establish with the help of the aforementioned table, Nine Star Broking does provide active services in terms of Demat Services, Trading Services, Intraday Services, IPO Services and Stock Recommendations with nearly upto six times the trading exposure. Nevertheless, they do not happen to have any services related to 3 in 1 Account, Robo Advisory, PMS or Trading Institution. The table above describing of the Research & Advisory related services being extended by Nine Star Broking includes Research Reports, Free Stock Tips, IPO Reports, Daily Market Reviews, Monthly Reports Weekly Reports, Offline Advisory and Online Advisory. However, they do not provide any support in terms of Fundamental Reports, Company Reports, Annual Reports or Top Picks. As per the aforementioned chart, it can be clearly established that Nine Star Broking does not provide any additional exposure in terms of Equity Delivery Trading. Although, they do provide an added exposure of up to six times for Equity Intraday Trading, up to two times for Equity Futures Trading and Equity Options Trading, up to four times for Currency Futures Trading and up to three times for Currency Options Trading and Commodities Trading respectively. Since, Nine Star Broking is yet to develop any dedicated trading software, they have decided to use the NSE based terminal trading software NEST for the time being. NEST is a well-known software praised for its stability corresponding to the Indian Trading markets. It has been developed on a Dot Net Framework made to be compatible for Windows 7, 8 and 10 respectively. Actively run and execute real time trading data. Export all the relevant trading data to Excel for further and better analysis. Add a number of watch lists, each with the option to further add multiple trading items within the same list. Add many varieties of market watch lists to groups and simplify the overall monitoring procedure. The integrated charting functionality helps to perform a number of critical technical analyses. The ‘Orderbook’ feature is used to get a glimpse of the user’s performance across several indices all at once. Use the ‘Combined Market Feature’ to get a quick glimpse of the top ten bids along with the quantity and price of the stocks respectively. The lack of another dedicated software has made Nine Star Broking to use the NSE based browser enabled trading platform NOW. Nine Star Broking has quickly climbed up the ladders of success with its network of two hundred and eighty four branches spread across the country that serve a Dedicated Dealer, Offline Trading, Online Trading and Email Support to its registered traders. However, it is noticeable that Nine Star Broking still does not provide any support related to 24*7 support, chat support or a toll free number. No complaints were logged against Nine Star Broking within the BSE last year and only four complaints were logged against them within the NSE. Thereby, making the percentage of the total number of complaints received against them in relation to their total number of active clients to 0.04% only. They do not have a lot of offers for their clients. They do not provide any added exposure for Equity Delivery Trading. Nine Star Broking is still a new player in the market and has a lot to learn from its long existing competitors. And, irrespective of the fact that they did not receive a lot of complaints against them last year, you still must definitely be careful if you are willing to sign in as one of their traders.